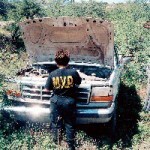 Leo W. Banks covered the completely out of control invasion from Mexico along the Arizona border under the George W. Bush administration. Bush,who agreed to integrate Canada, Mexico and the United States into a North American Community, left Americans living near the border unprotected from drug smugglers, people smugglers, and potential terrorists from the Middle East. 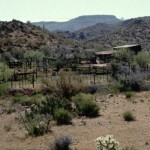 (Published Aug. 11, 2005) Lyle Robinson’s Tres Bellotas Ranch sits in a cradle of hills right on the Mexican border. It’s a pretty place. Sprawling Mulberry trees shade the brick house and oak trees–bellotas in Spanish–decorate the surrounding landscape. This time of year, during the monsoon season, the oaks drop acorns that cowboys and others working this land, 13 miles southwest of Arivaca, have prized as summer snacks for centuries. It hardly seems that such a peaceful-looking spot could be the scene of anything momentous. But it is. Everyone in America has a stake in what’s happening on the Tres Bellotas. Everyone in America should know about the events that play out daily on this remote ground, and on neighboring ranches, because they explain our present and foretell our future. This is a place where all the rhetoric from the president and his government about homeland security crumble to pieces on the hot ground. The Tres Bellotas is a battleground in the relentless, ugly, nonstop invasion of drugs and illegals across our southern border. It will happen again tonight. Robinson knows this, because the two invaders showed themselves earlier on this beautiful July morning, shortly after breakfast. Walking openly, without fear of harassment, the two men walked from Mexican soil into the United States through the wide-open international border gate 200 yards below Robinson’s home. They were rolling a tire that needed air, and reaching the house, they asked one of Robinson’s cowboys for permission to use the compressor. 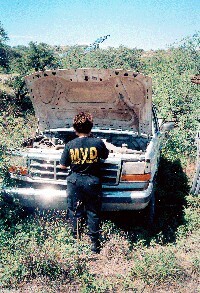 These men, coyotes making final preparations for a night smuggling run of either drugs or people, displayed no menace. They were polite. So was Robinson’s cowboy. He said by all means, muchachos, fill your tire. But it was a Vito Corleone kind of request, one the cowboy couldn’t refuse. Robinson’s ranch has no phone, no electricity and is, in his own words, a no man’s land, where surviving means doing what’s necessary, including maintaining cordial relations with the bad guys. If they want air for their tire, you give it to them. If they want water, you’re better off handing it over, because if you say no, they may break a water line to get it. 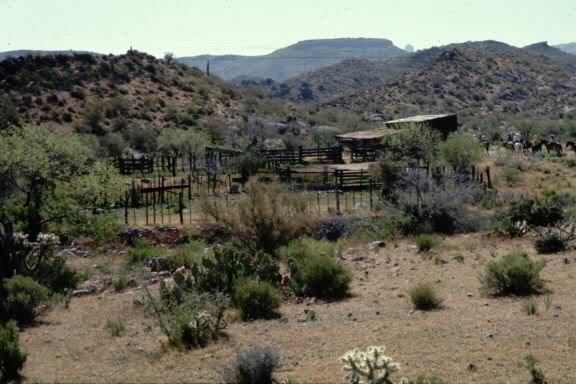 If they want you to open the gate across the dirt road that runs between your home and your horse corrals, you open it. Why fight it? If you refuse, they’ll just cut the lock. Six months ago, Robinson looked out his window and saw something incredible–a traffic jam on the Tres Bellotas, with 15 pickup trucks backed up at this second gate, 150 feet from his house. The pickups sagged under the weight of the illegals they carried, probably 20 in each, 300 in all. When Robinson walked out, the coyote asked him to open the gate to let them pass. Robinson did so, and off the group went, driving north. So this long convoy of invaders entered the United States by driving through two open gates, encountering no law enforcement to check papers. Or screen them for infectious diseases. Or punch in computer codes to learn if they were criminals. Or search for chemical or biological agents. Or search for suitcase nukes. Or check the names against terror-watch lists. Or even wave howdy. In other words, they encountered fewer obstacles than commuters in American cities face driving home from work in rush-hour traffic. But they don’t just enter through the wide-open gate below Robinson’s house. His land abuts Mexico for six miles, and the invaders routinely cut holes in the four-strand barbed-wire fence separating the two nations. They break into the country so often along this stretch that Robinson can’t keep up with the fence repairs, an ongoing nightmare in which he is far from alone. It happens at many spots along our southern border. See the rest of the story.